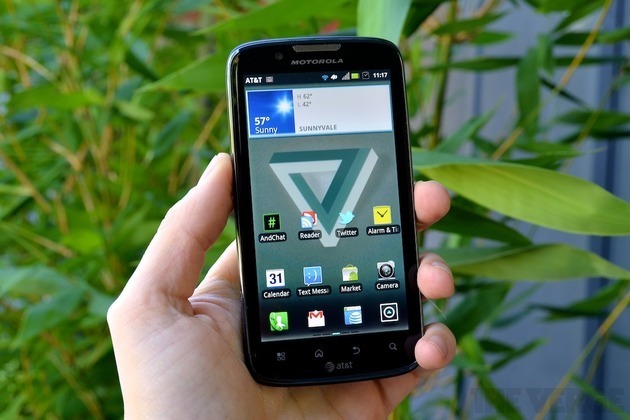 AT&T launched the Motorola Atrix 2 with very little fanfare, slotting it in with a set of low-end Android smartphones on October 11th. However, the Atrix 2 is the successor to the venerable Atrix 4G and as such at least bears the name of a top-of-the-line Android phone. That name is belied by middle-of-the-road specs and a price point — $99 on-contract — that implies that neither Motorola nor AT&T think of the phone as a hero device. Still, just because a phone isn't the recipient of a huge marketing blitz doesn't mean that it can't fit your needs and the Atrix 2 has quiet, business-like demeanor that could appeal to people who aren't concerned with whiz-bang features.